If you missed our initial issues of the DC Chronicles, you can catch up with the links at the bottom. The Chronicles are intended to keep you updated on DevCentral happenings and highlight some of the cool content you may have missed since the last issue. Welcome! 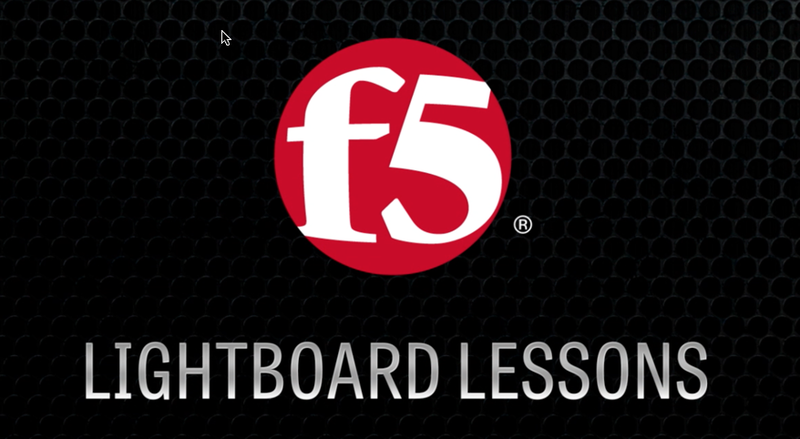 Like last month, we’re digging the OWASP Top 10 #Lightboard series from @JohnWagnon. He wrapped it up this month with numbers 9 & 10 – Using Components With Known Vulnerabilities and Insufficient Logging and Monitoring. To give you a sense of how these have been received, YouTube viewer Sanket Kamath says, ‘Thank you for the excellent overview for all of the OWASP Top 10 2017! John made it really easy to understand each of the 10 attacks with his explanation!’ Check out the entire playlist! Speaking of LightBoard Lessons, we had a few fantastic ones this past month. John took on lighting up the GitHub DDoS Attack and Explaining the Spectre and Meltdown Vulnerabilities while Jason gave us the OSI and TCP/IP Models and What Are Containers? I added SAML IdP and SP on One BIG-IP to round out our videos. On the Security front, we had a bunch of great articles covering a mess, and I mean a mess of stuff. The mess was some new vulnerabilities and our Security Researchers had the mitigations for many including Spring Framework Spring-Messaging Remote Code Execution (CVE-2018-1270), Drupal Core SA-CORE-2018-002 Remote Code Execution Vulnerability and Jackson-Databind – A Story of Blacklisting Java Deserialization Gadgets. We also learned how to Protect your AWS API Gateway with F5 BIG-IP WAF, how to configure F5 BIG-IP as an Explicit Forward Web Proxy Using Secure Web Gateway (SWG) and how to set up ADFS Proxy Replacement on F5 BIG-IP. The Cloud folks will love Lori’s Three Types of Load Balancing You Meet in the Cloud, DNS Admins will dig Eric’s Unbreaking the Internet and Converting Protocols and Coders will enjoy Jason’s Debugging API calls with the python sdk and Satoshi’s iControl REST Fine-Grained Role Based Access Control. And wrapping up, a wonderful contributor Daniel Varela is DevCentral’s Featured Member for April and F5 Agility is coming to Boston, MA this August! As always, You can stay engaged with @DevCentral by following us on Twitter, joining our LinkedIn Group or subscribing to our YouTube Channel. Look forward to hearing about your BIG-IP adventures.